Tixier is uncommonly motivated and deceptively disciplined. Beneath a veneer of self-deprecation is an unshakable drive to master his craft. He has been feverishly practicing since before he knew he would be a musician. It’s not too difficult to picture Tixier as a kid. Leaning back in his chair at Colson, his contemplative and open demeanor is framed by deep eyebrows and an excited shock of hair. He speaks deliberately as he begins to recount how, within the span of a few teenage weeks, he became obsessed with jazz. “After I heard Stèphane Grappelli for the first time, I began listening to a lot of jazz recordings. I saw a live performance of Gypsy Jazz by Florin Niculescu, a Romanian violinist who plays with Bireli Lagrene. It was an enlightening experience. Soon after that, I was introduced to a VHS tape of Kenny Garrett playing with Jeff “Tain” Watts, Kenny Kirkland, and Nat Reeves. It gave me chills, this video. I was hanging out with other young kids who were into jazz, and everyone was exchanging videos, recordings, and other things. That was when I met Yvonnick Prenne, at a summer camp, who plays harmonica on my album. Things have changed drastically for Tixier in the last ten years. Opting not to go to a conservatory, Tixier moved straight from Paris to New York to begin his career as a soloist and bandleader. He moved slowly and deliberately while networking. It wasn’t easy, at first. For the first five years, Tixier said he was shy to make himself known at shows and sessions, and instead filled his days with intense practice. After four years in the city, Tixier recorded Brooklyn Bazaar for Sunnyside Records. His second album Cosmic Adventure, which will be released by Sunnyside on September 9th and premiered at The Jazz Gallery on the 20th, enlists an all-star band, with Yvonnick Prene on harmonica,Glenn Zaleski at the piano, Luques Curtis on bass and Justin Brown on drums, as well as special guests Chris Potter on saxophone and Pedrito Martinez on congas. Tixier worked closely with producer Donald Brown at the legendary Avatar Studios and enlisted the legendary violinist Jean Luc Ponty wrote the liner notes. The album even had sponsorship from Colson Patisserie. “My new album is really different from Brooklyn Bazaar,” says Tixier. “I’ve been in New York longer. I know more music. I’ve practiced more, I’ve played more shows, and I’ve met more people. I recently found the occasion to re-listen to the album, and I don’t like the choices I made. I think today, I’m clearer about what I want my group to sound like. Sometimes I can’t think of a solution for a musical problem. In many cases, it’s about finding the right people for where you are at the time. People who resonate with the same aesthetics and textures. It’s group music, so it’s really important who you play with. The go-to methodology of the music industry is changing. More and more artists adopt a do-it-yourself mentality, with musicians producing each other’s albums and shying away from big labels. But Tixier went for a more traditional approach with Cosmic Adventure, working closely with Sunnyside Records to build the personnel for the album. This included bringing in Donald Brown, a bandleader and producer (most notably for Kenny Garrett, one of Tixier’s early influences). Brown had much to offer in the studio during the Cosmic Adventure sessions. “It made a huge difference. I played for [Brown] a few years ago at a festival, and in the hotel lobby, he was showing me some things on the piano as he was playing through standards. When he talks to you, things are very simple. Music comes from experience first, not from theory. The way he explains is from his own perspective. At Avatar, I thought he may have changes to make to my arrangements, but he said they were good, and that he just wanted to be in the studio and be a part of the energy. We would be warming up and playing, and he’d stop us and tell us when to record, then when to listen back, or whether or not to keep playing. He had advice for tempo, feel, musical approach, and basic formal structure. On “100,000 Hours,” we tried a few feels. First he recommended that we take most of the drums out. Then we tried it much busier. He worked closely with Justin Brown on drums to find a feel that worked well. On another tune, he suggested a collaborative solo between violin and harmonica, which eventually made it to the album. On “Dig It,” Brown was dancing in the studio, trying to find the right tempo. He said we should slow it down; “Think about being in the car,” he said, “cruising into the sunset in Acapulco, or chilling on the beach with a cocktail,” and other things like that. He encouraged us to think of how people would be listening to what we were playing, since that’s what happens when you make a recording. Tixier enlisted a diverse crew of musicians and collaborators for Cosmic Adventure. Some, like Pedrito Martinez, had scouted Tixier and showcased him in New York. Others, like Glenn Zaleski, were on Tixier’s radar, but they hadn’t played much together. And still others like Yvonnick Prene were childhood friends of Tixier. With a diverse crew and a dedicated producer, Tixier focused his energy on building a cohesive and strong musical sound. “Pedrito Martinez is on the first song of the album, ‘Maze Walker.’ I met him in a memorable way. I went to see Ted Nash who plays with the Lincoln Center Jazz Orchestra. They invited me to a rehearsal with Wynton Marsalis, Chucho Valdez, and Pedrito Martinez. The next week, Pedrito invited me to one of his shows, and had me play a tune with him. At the end, I asked him if he wanted to be on the album. Donald helped shape his role on the song, and balance his presence on congas with Justin Brown’s drumming. The Cosmic Adventure release show at The Jazz Gallery will feature the full band minus the special guests. Playing at The Jazz Gallery will be another first for Tixier, who has had the venue on his radar since he moved to the city, yet only recently felt ready to reach out and book a show. Community-oriented and well-connected, Tixier approaches Brooklyn as the large and energetic borough that it is. But if you want to find Tixier, you’ll likely find him at home, where he’s certain be working on fresh material and chasing new ideas. Scott Tixier celebrates the release of Cosmic Adventure at The Jazz Gallery on Tuesday, September 20th, 2016. Mr. Tixier will be joined by Glenn Zaleski on piano, Yvonnick Prene on harmonica, and Luques Curits on bass. Sets are at 7:30 and 9:30 P.M. $15 general admission (FREE for members) for each set. Purchase tickets here. 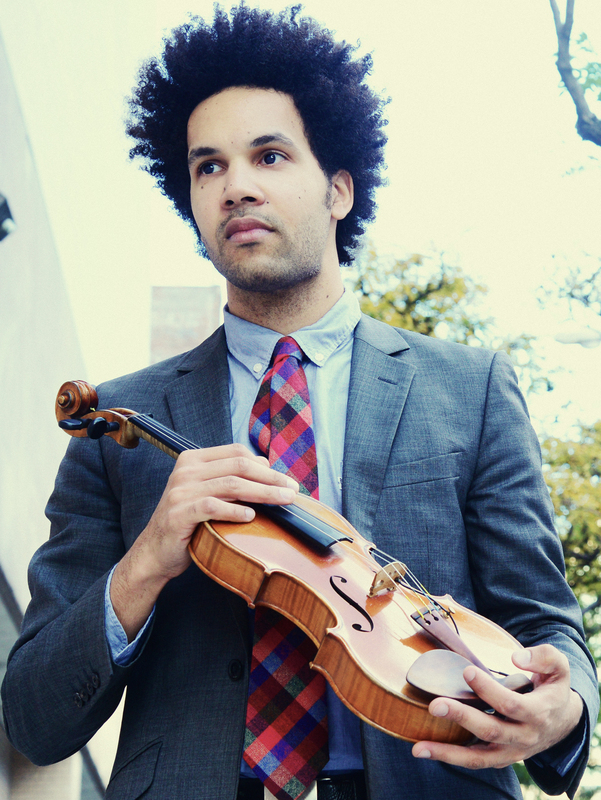 ← Scott Tixier Reviewed in Classicalite!